Sometimes simple is good. 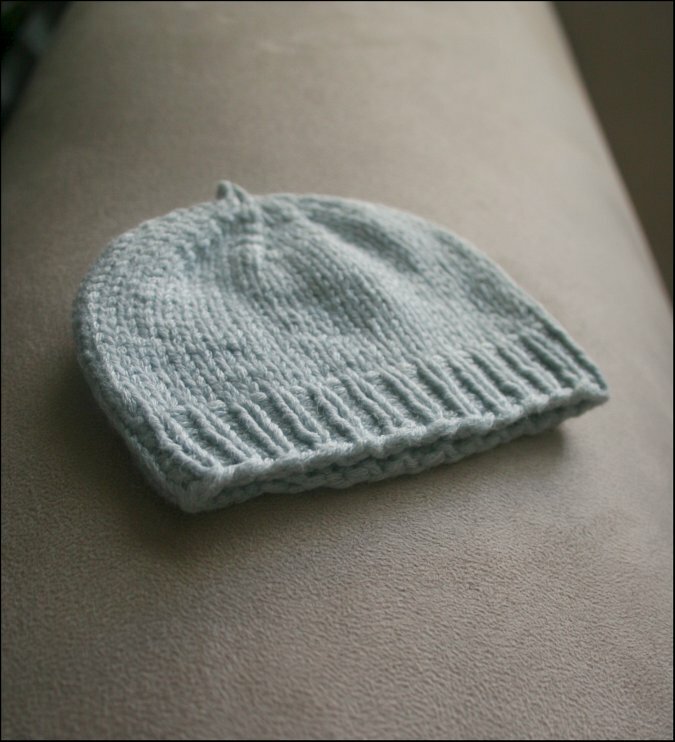 As is in the case of this tiny, blue newborn hat. It's knit from Rowan Calmer yarn so its stretchy and soft and a perfect hat for keeping baby's head warm while in the hospital. A very practical knit. I remember making a special hospital hat for my daughter when she was born. It felt so much more special than the weird, not so soft, machine-knit, gender neutral, hats that they were giving out. When you are a knitter.. these things matter.